What’s better than buying cool fridge magnets? 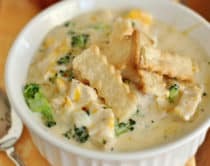 Making them yourself, as always! 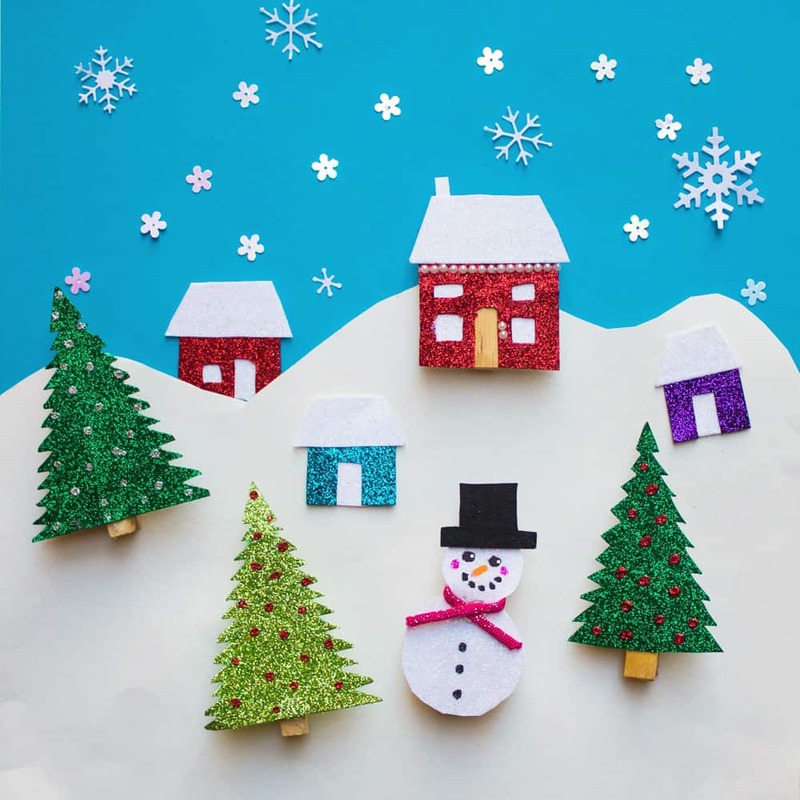 These adorable winter holiday themed fridge magnets are a great way to connect and bond with your family over some DIY! Step 1. 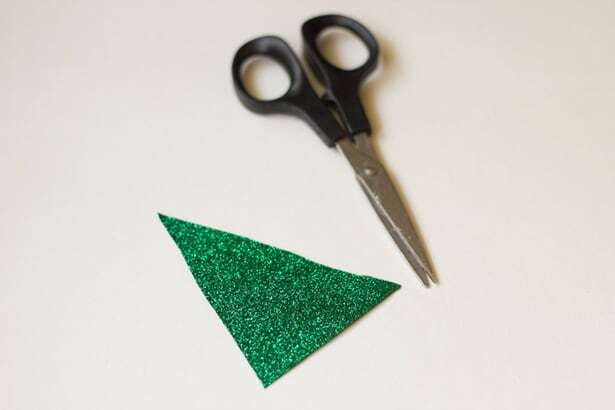 Start by cutting out a triangle from the green glitter paper. 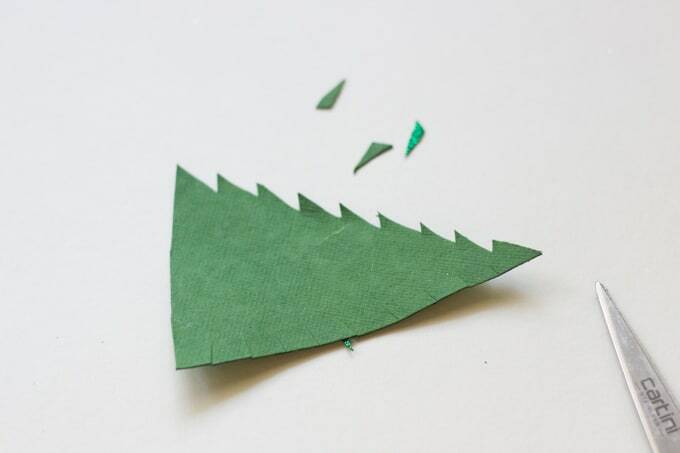 Cut out mini-slots on the longer edges of the triangle and then smaller triangles to give the trees some branches as seen in the photograph. 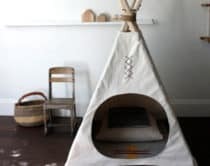 If you have smaller kids, a simple triangle will do. Step 2. 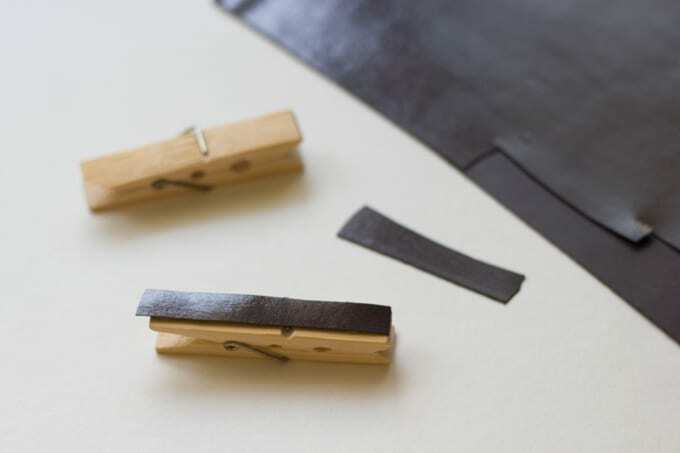 Place a wooden clip on the magnetic sheet and trace its outline using a pencil. Cut along the outline. 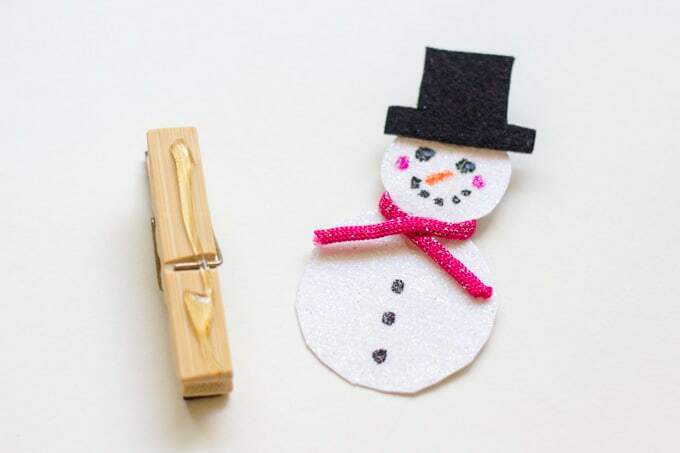 Using a hot glue gun, glue it to the back of the wooden clip. Let dry. Step 3. 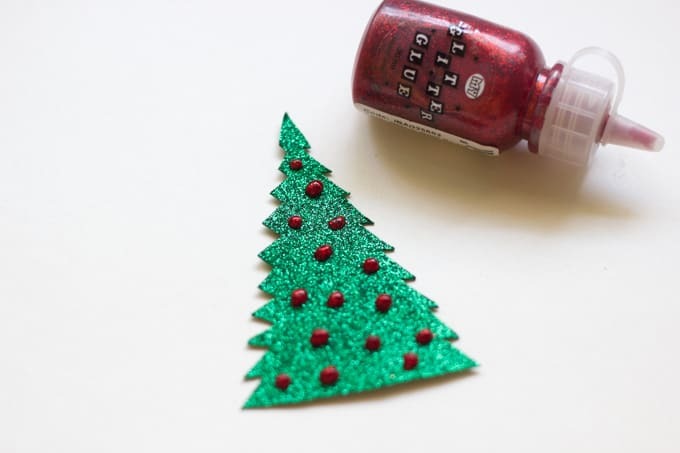 Meanwhile, place red or silver dots on the glittery part of the miniature trees using glitter glue. Let dry completely. Step 4. 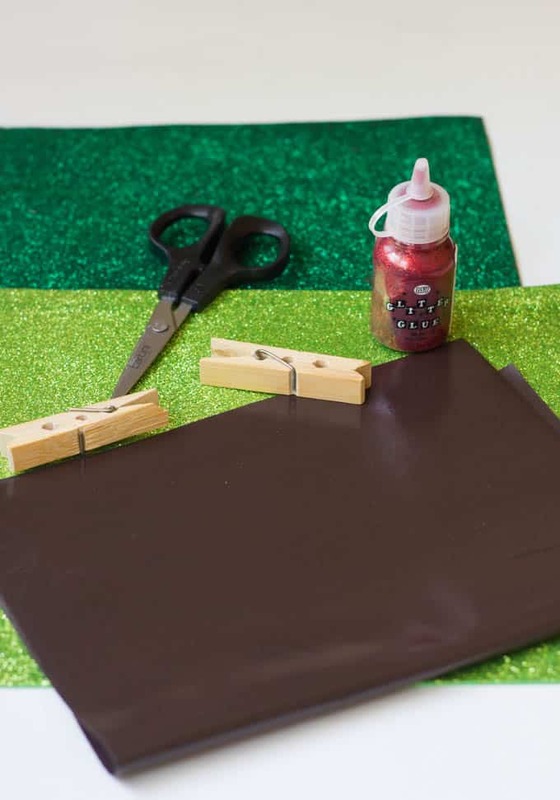 Once the dots are dry, stick the glitter trees on the other side of the wooden clip – make sure the closed side of the clip is at the bottom. 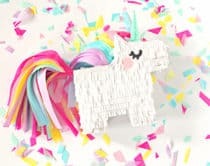 Leave a small section of the clip without glue, this forms the bark of our glitter tree. Step 5. Why stop at trees? 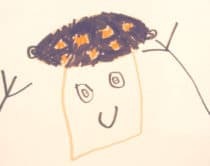 Get your older kids to make snowmen – White glitter paper, a felt hat, a ribbon scarf, add eyes with a black marker and a carrot nose. 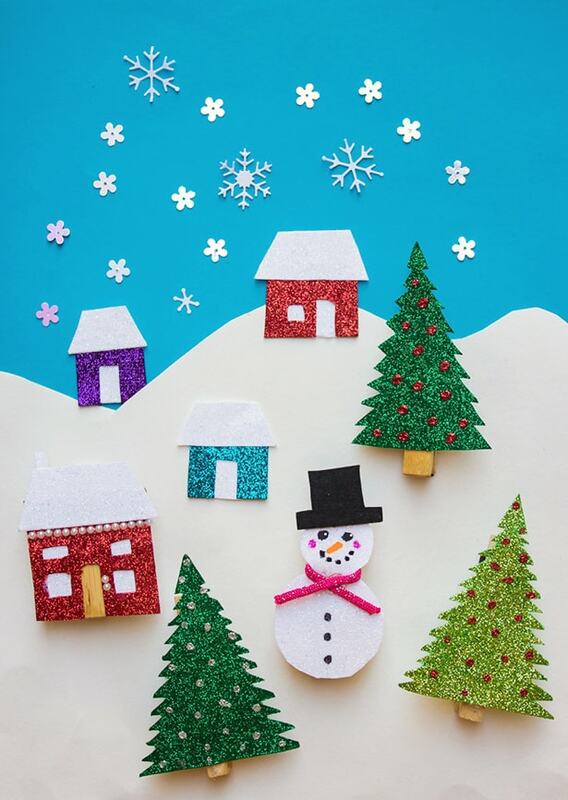 We had so much fun making these that we ended up making a whole miniature Winter town! Step 6. 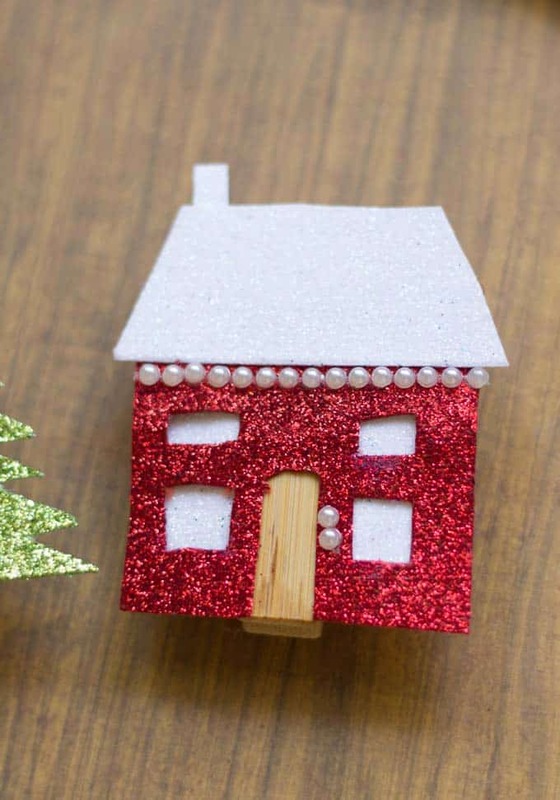 Cut out squares and rectangles from red glitter paper for the doors and windows. Add a white glitter roof and curtains. 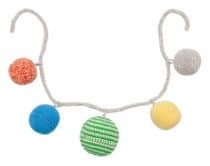 Stick them onto magnetic clips and your miniature little house magnets are ready. Voila, you have a whole winter fridge magnet town in your kitchen. Use the fridge magnet clips to hold notes, a photograph or even season’s greeting cards. 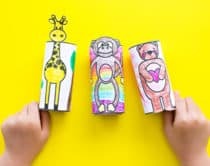 Check out more creative holiday projects for kids! 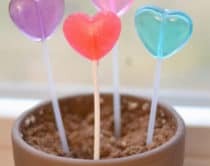 Shruti is a writer, photographer, DIY lover, passionate homemaker, and the Chief Dreamer at ArtsyCraftsyMom.com. She lives in Bangalore, India with her husband and daughter. 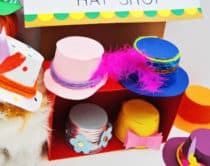 She loves showcasing fun art activities, crafts for kids, celebrations & all the craziness that is India.